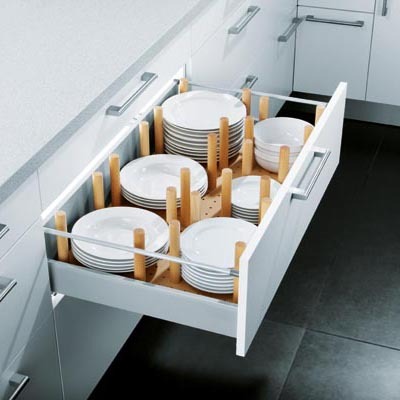 Making the best use of space in your kitchen is very important. This is why intelligent storage is essential. 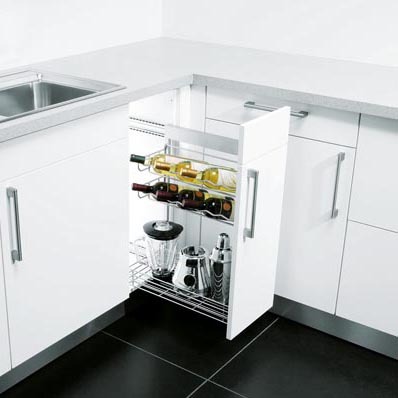 At Alan Potts Kitchens we will be pleased to advise what storage solutions will work best in your new kitchen. 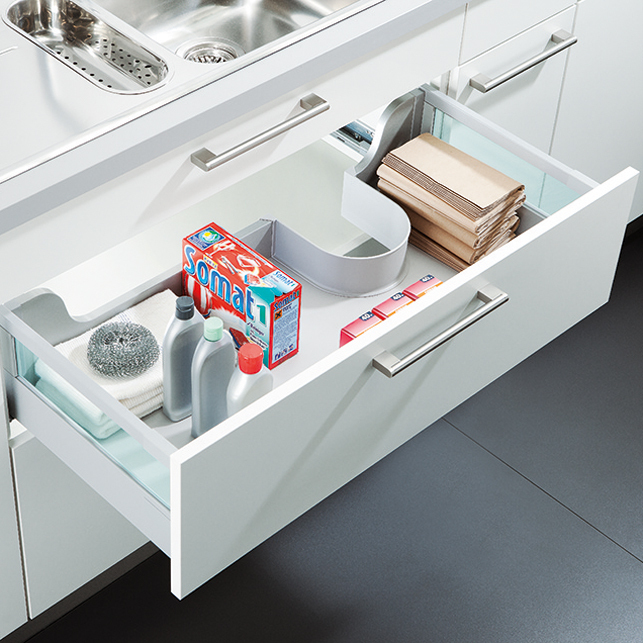 Schuller kitchens have made their wall units 350mm deep as standard. Whereas UK brands are 300mm. 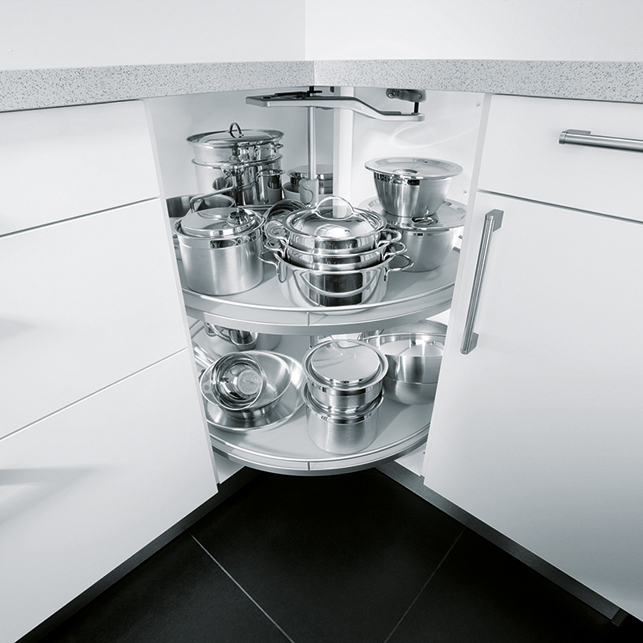 This extra 50mm means that larger plates and bowls can be stored in them.